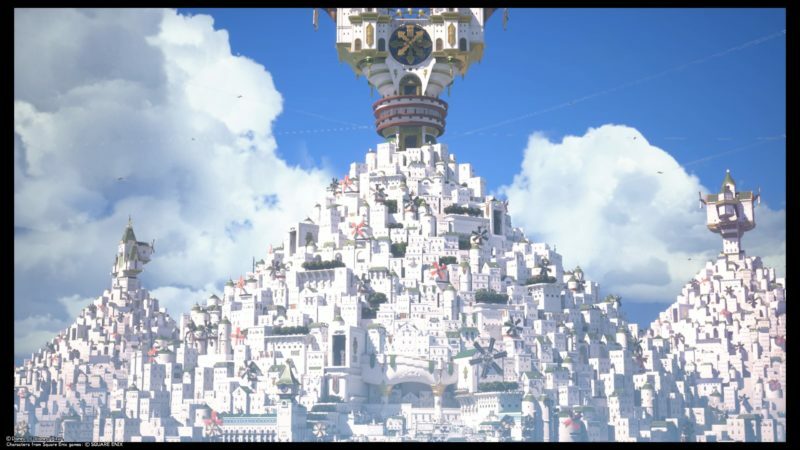 Scala Ad Caelum is the final place you’ll be in Kingdom Hearts 3. The previous area is The Skein of Severance. 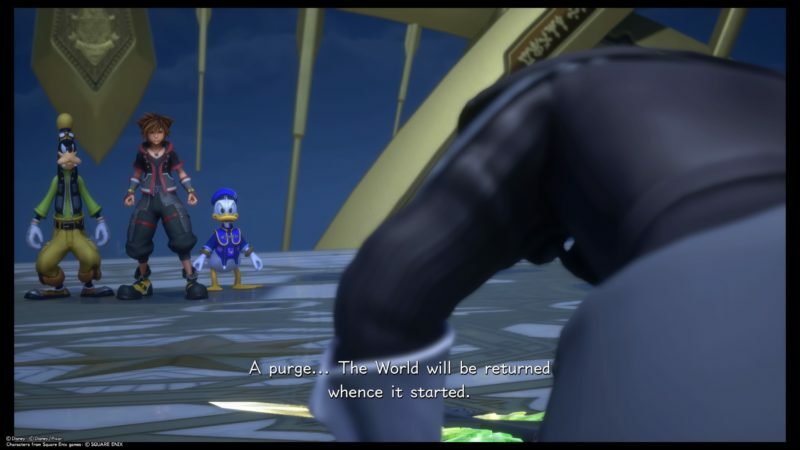 After Sora teleported together with Xehanort, Goofy and Donald, they end up here. 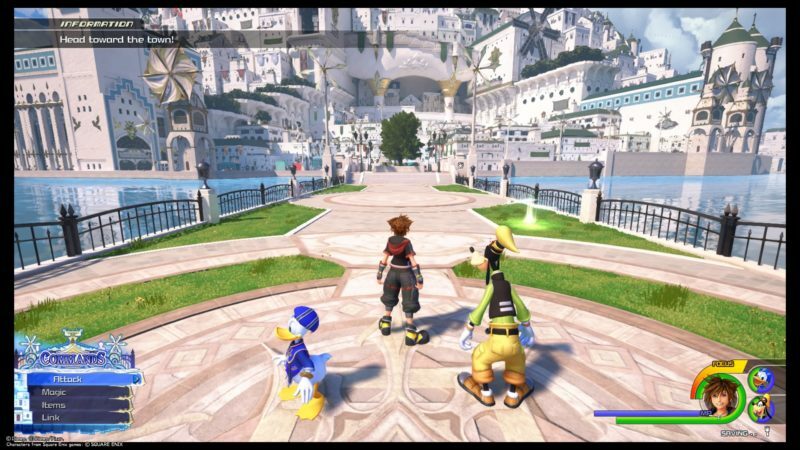 This is also the place you will have your final boss battle in KH3. 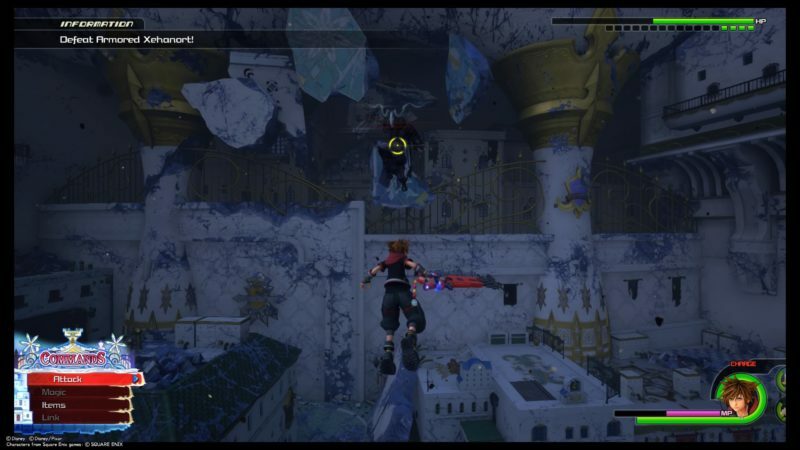 Here’s a walkthrough and guide of Scala Ad Caelum in Kingdom Hearts 3. 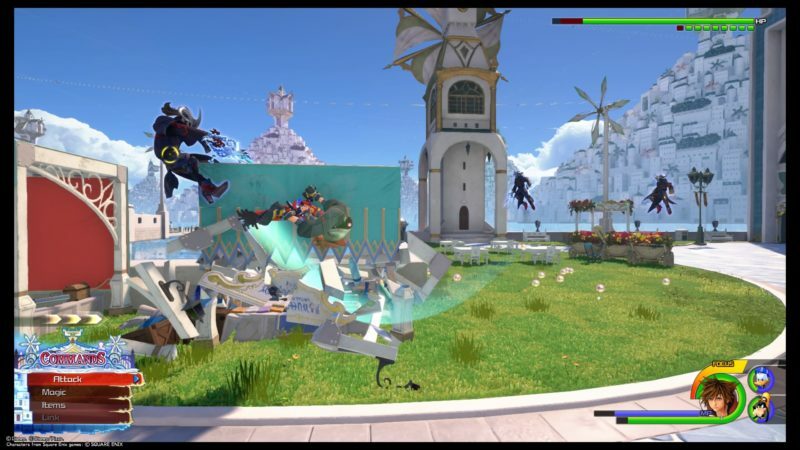 This is the last chance you have to save the game, so do save it immediately. 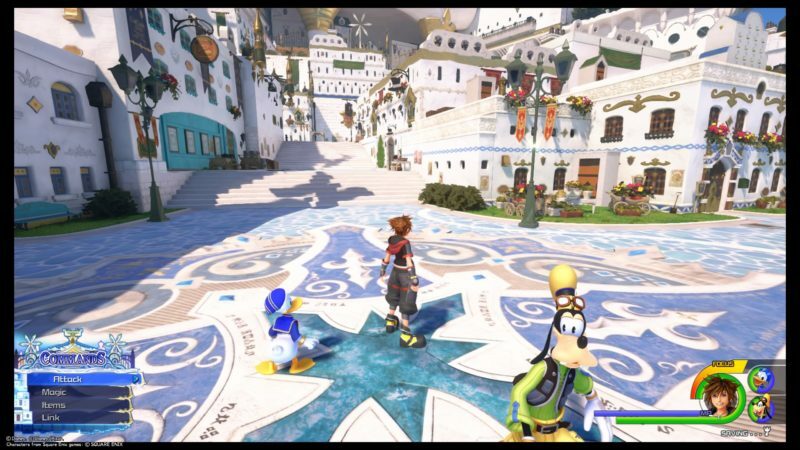 Get past the save point and go towards the town. At some point, a cutscene will load, and you will find some mysterious adversaries. 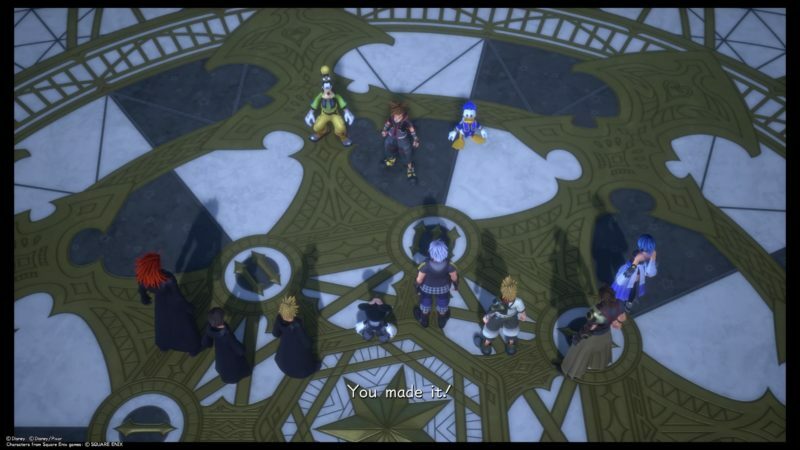 These adversaries are either pieces of Xehanort from different timelines, or they are members of the Organization. There should be about 13 of them. 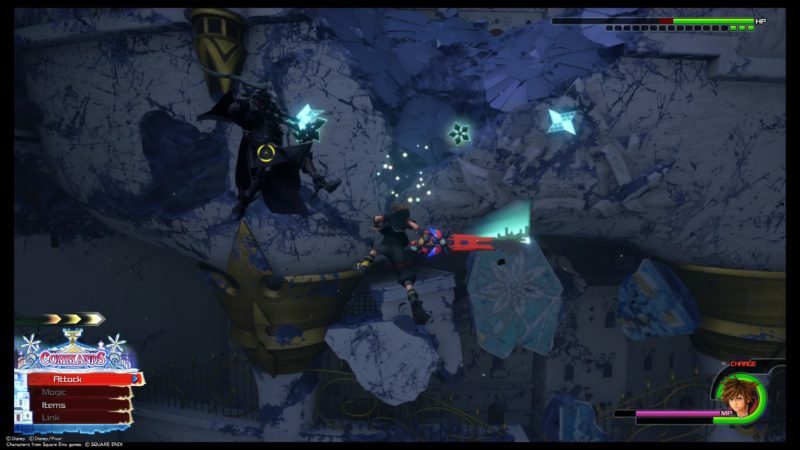 These enemies will appear and disappear as they wish. Just keep attacking whoever you can see. 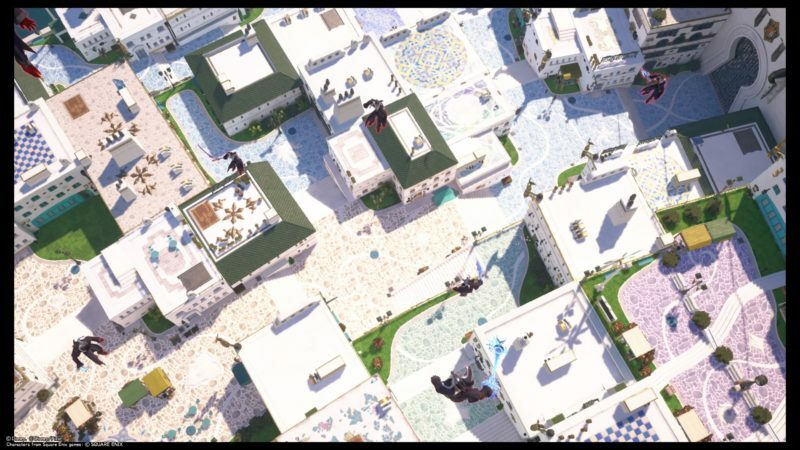 You can use the entire place as a battleground. 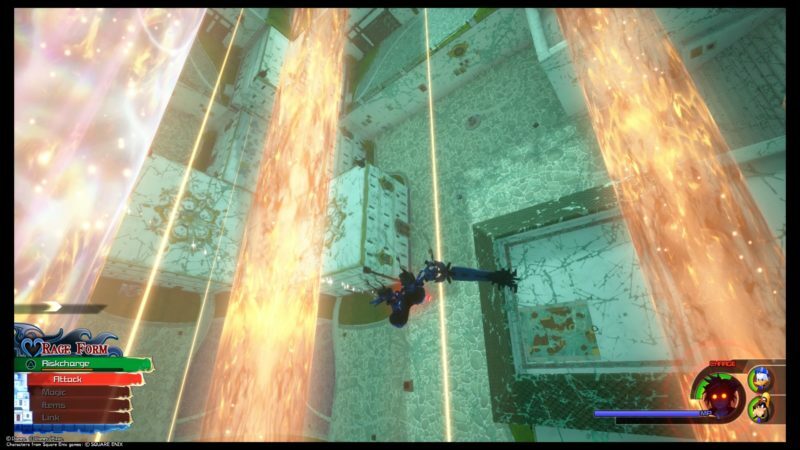 After some point, they will all get to the sky. They will create some sort of super cool attack from above. 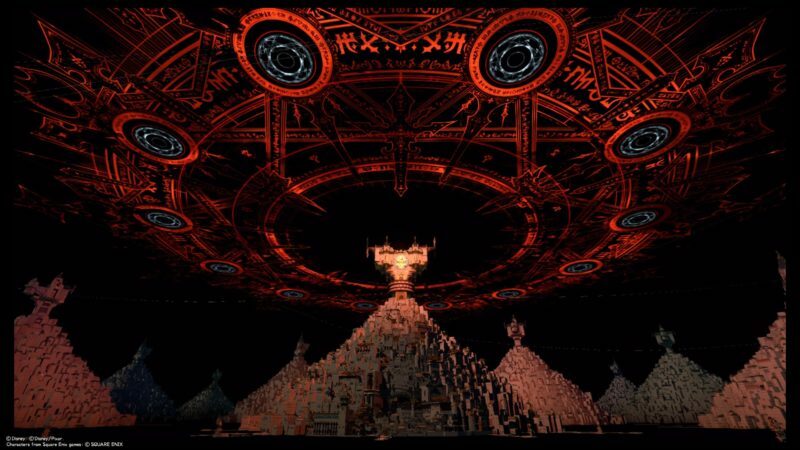 There’ll be laser attacks from above. 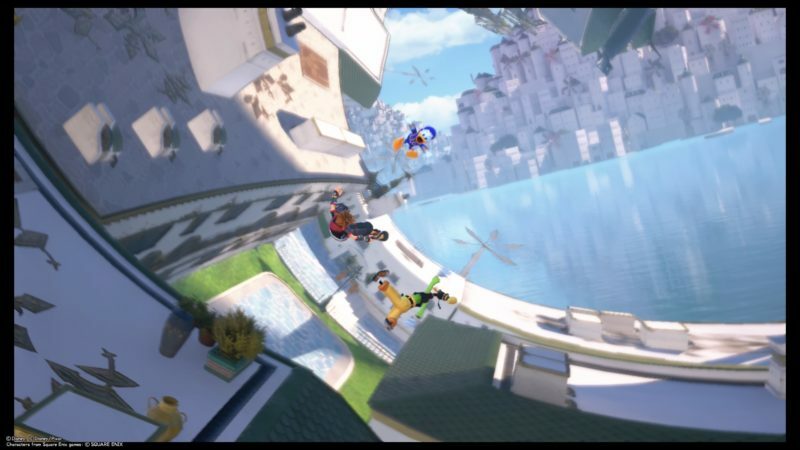 You can keep running towards any part of the city. 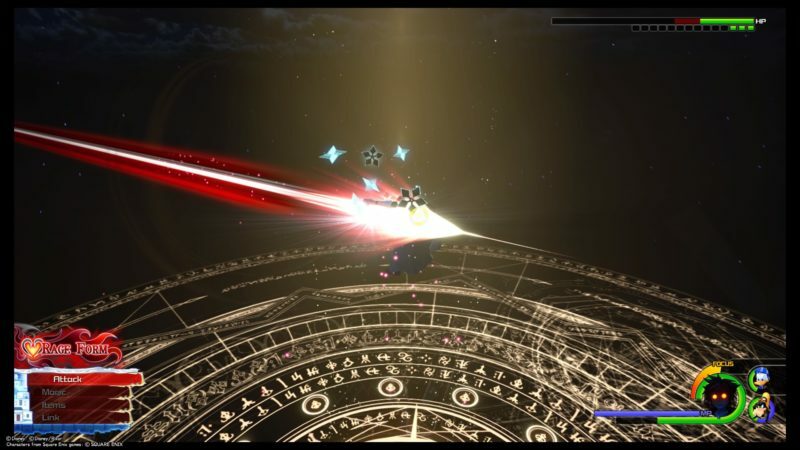 While avoiding the laser attacks, keep hitting the adversaries you can see. After their health bar goes to zero, the fight is over for now. 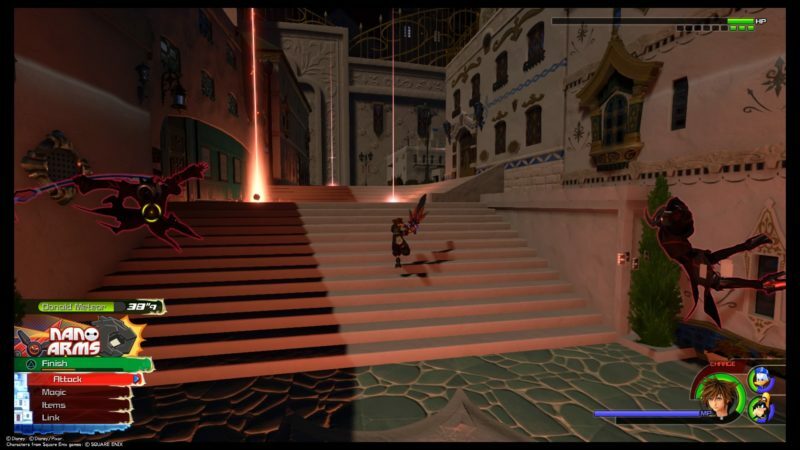 During the cutscene, Xehanort appears and says that all pieces of him from different timelines coincide in this area called Scala Ad Caelum. 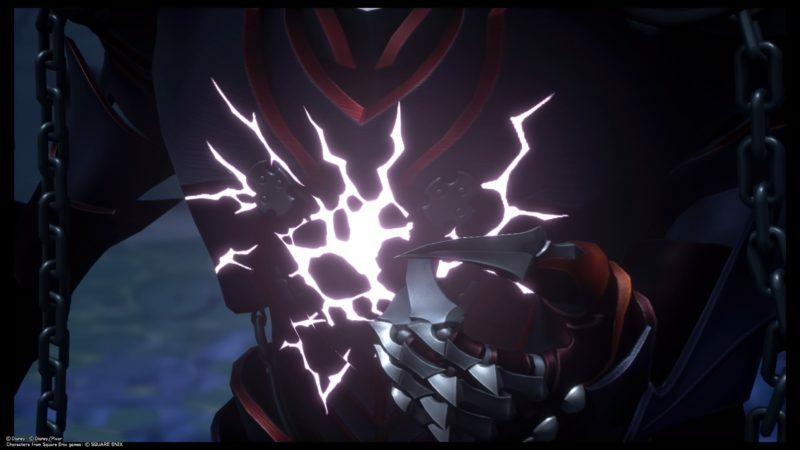 This means he is able to draw power from all versions of himself in this world. 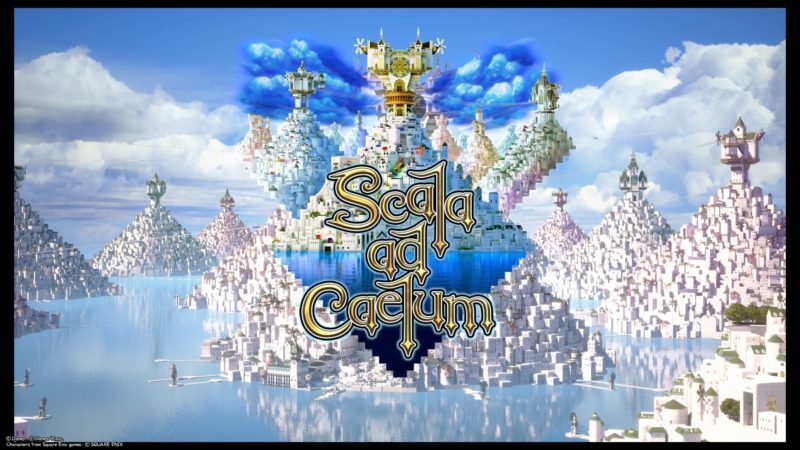 Scala Ad Caelum is the world that is related to every other world, sort of like the main place that joins all worlds. 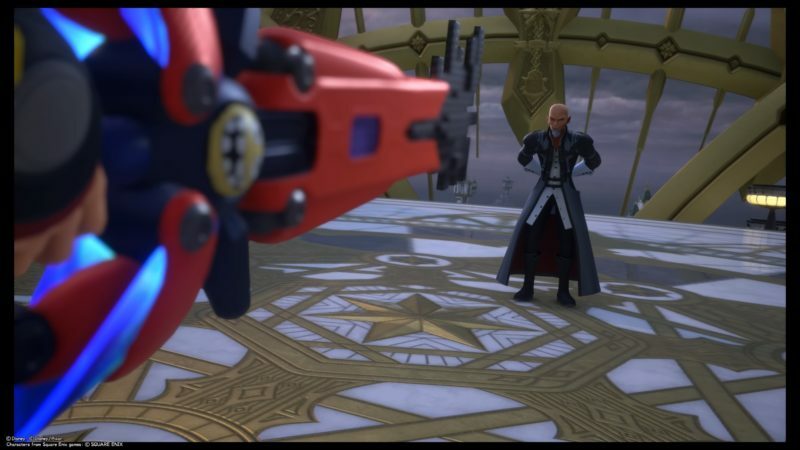 You will now have to face armored Xehanort. He will use his ability to rotate the entire world. 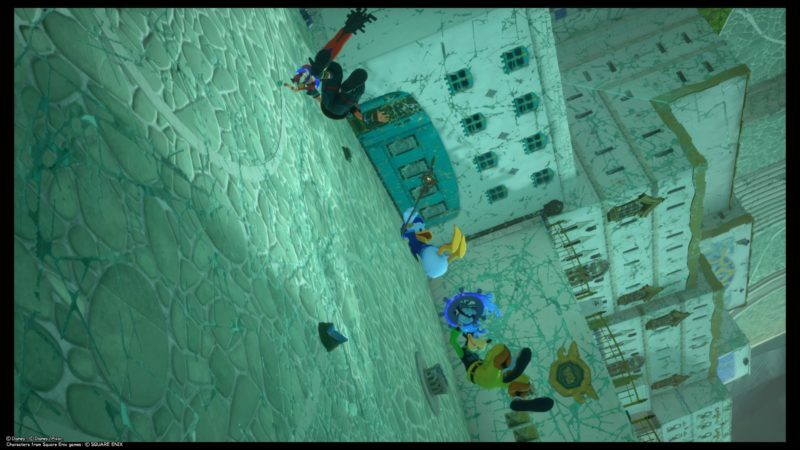 To be honest, this is the hardest fight so far in the game. 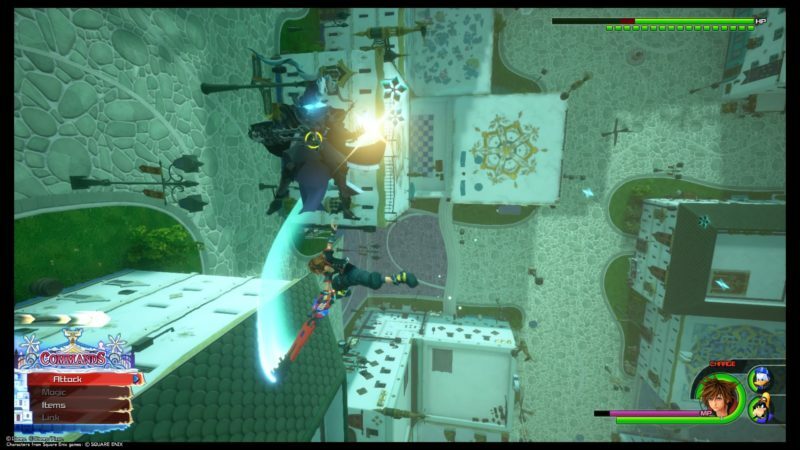 This armored Xehanort is hard to land a hit on, as he moves and attacks really quickly. 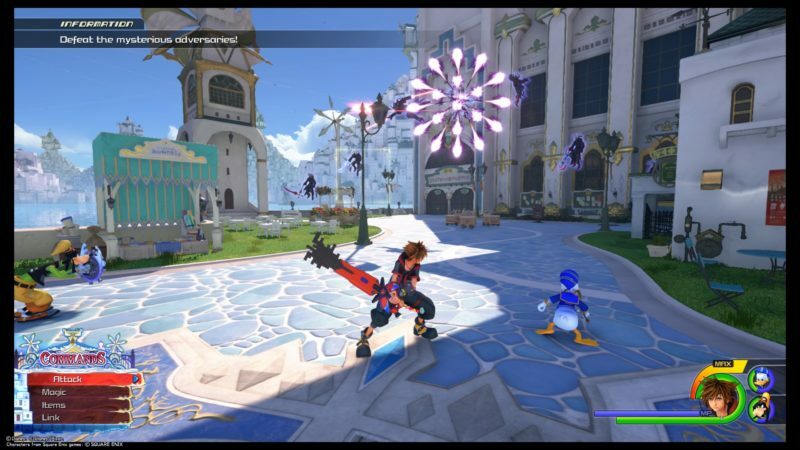 His health bar is also really long – about 17 health bars. 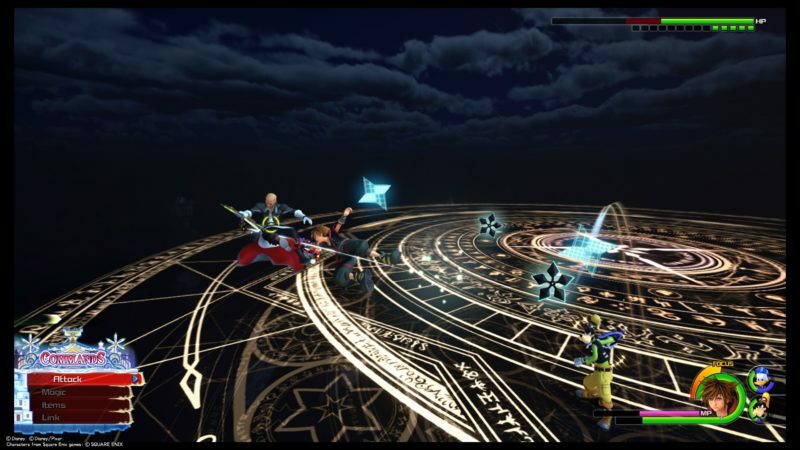 As he’s always flying and floating around, you need to keep using shotlock to attack him. 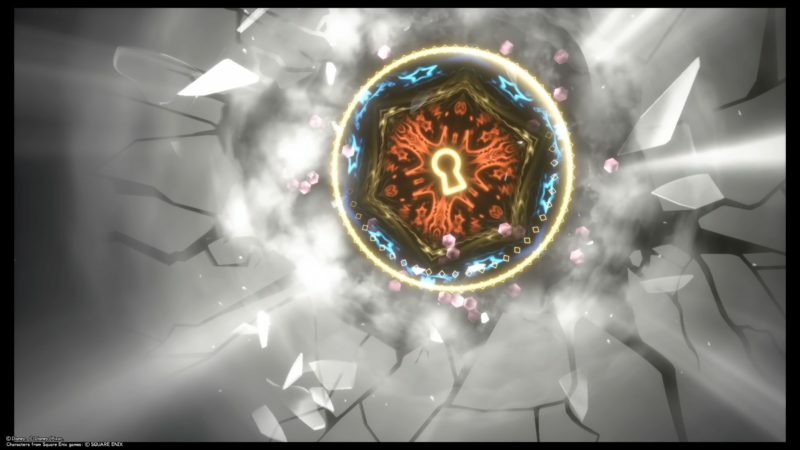 During the fight, he can rotate the whole world again. He also uses some attacks that summons walls of fire around. You can avoid it as there are indicators of it coming. If you see small lines of fire, then run away. 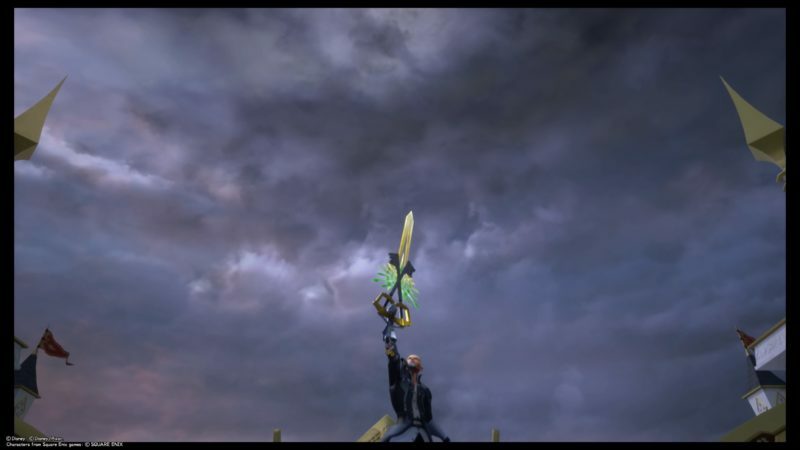 After some point, he will rotate it until you guys have to fight underwater. This part is difficult as you can’t use link commands here. 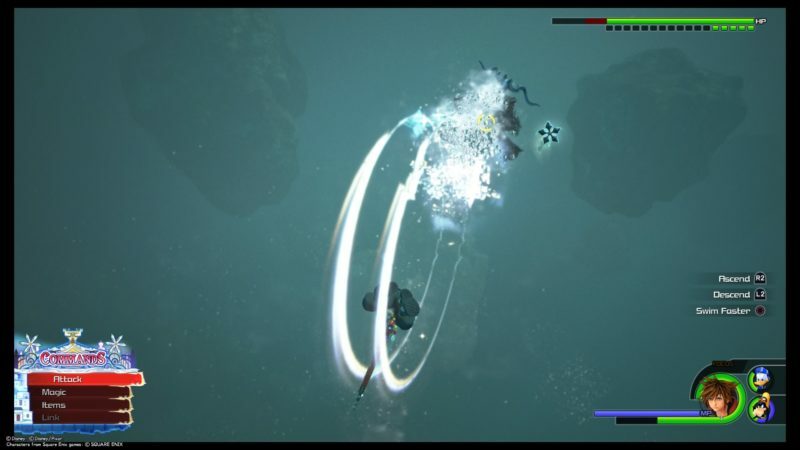 The underwater fight is similar to the one in The Caribbean. 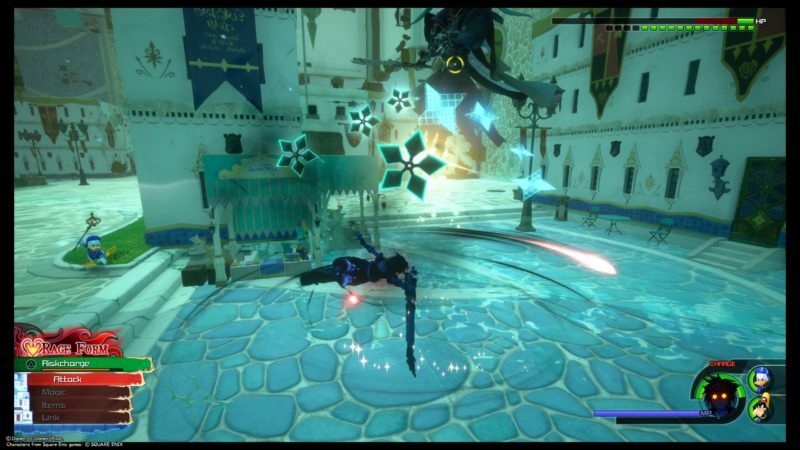 You can’t shotlock as well, so you need to swim faster towards him to attack him. 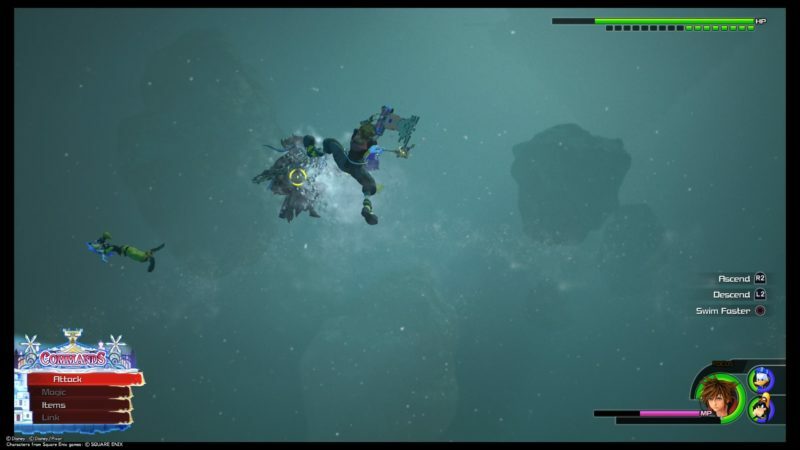 After the underwater part, you will get back to the land and air. Attack him again until he gets defeated. 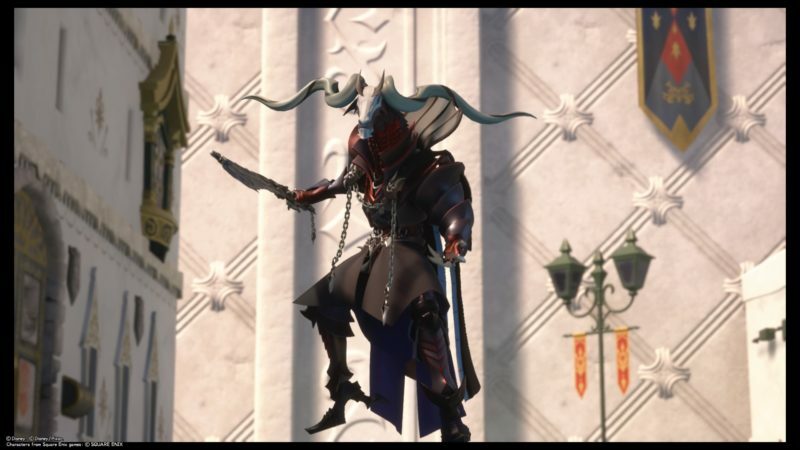 After defeating him, his armor will crack during the cutscene. However, it’s not over yet. 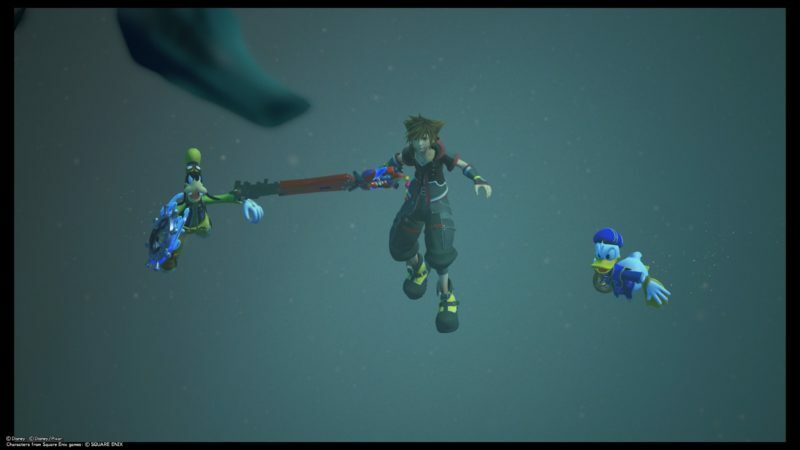 Apparently Sora has this power of connection. 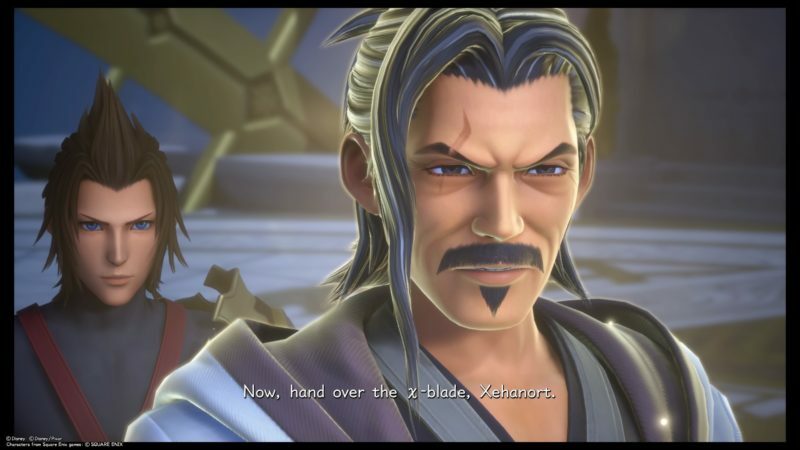 Xehanort uses that connection to draw his X Blade. 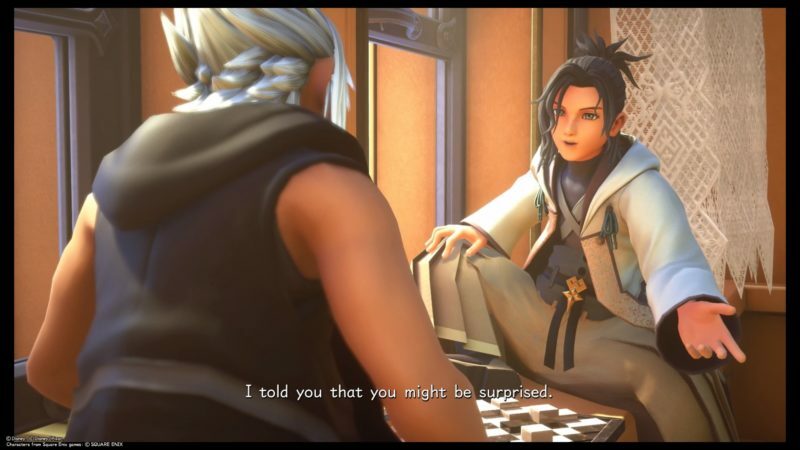 Now, you need to fight him again. He has plenty of health bars here too, but the fight is much shorter. 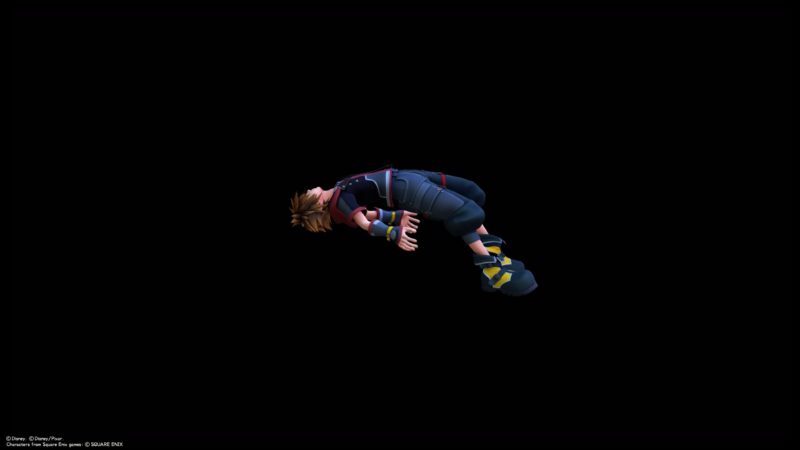 The place is smaller which means you can hit him more often, and without his armor, his health goes down quite fast. 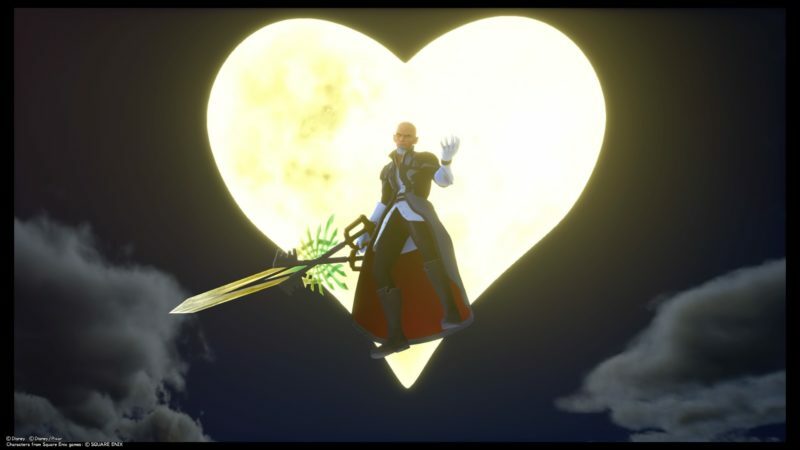 At one point, Xehanort will steal your light. You are pretty much in rage form at this moment. You can’t heal or do anything other than attack. Just keep attacking him until you get back your light. After some point, you will reclaim your light. 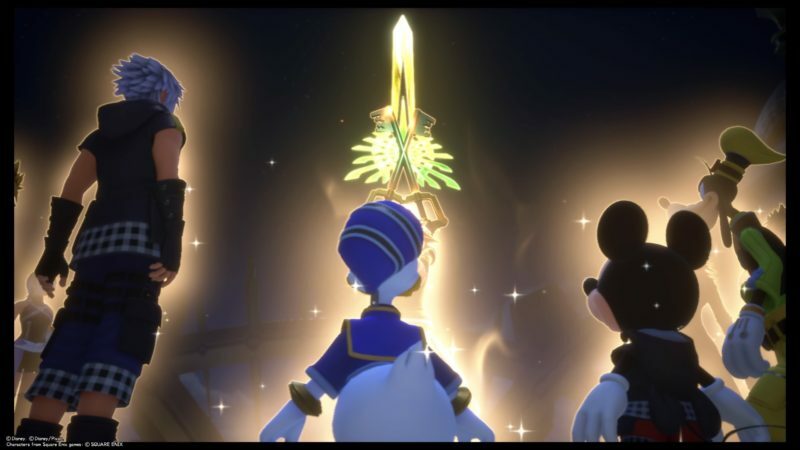 Xehanort then prepares his final attack. 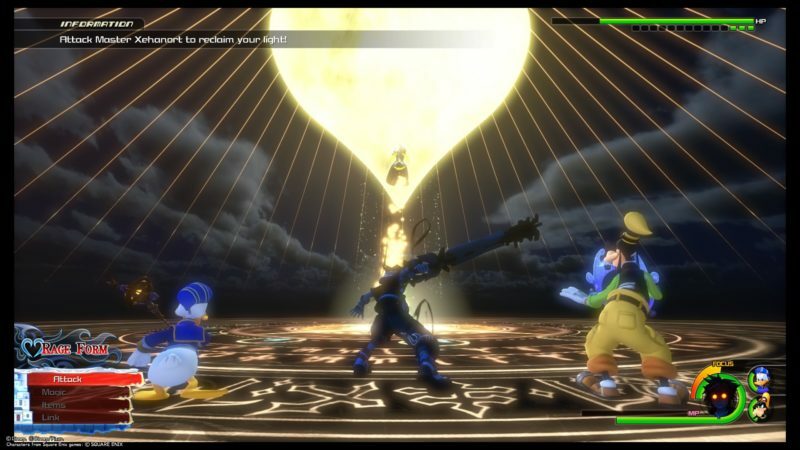 He uses the power against Sora, and Sora blocks it with his keyblade. 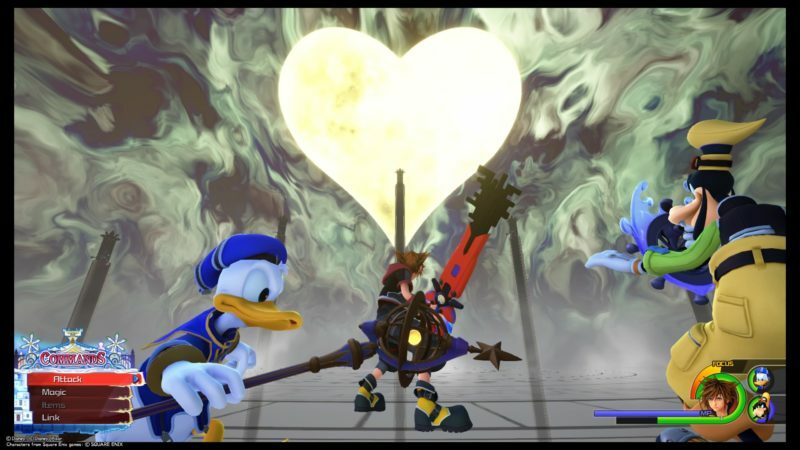 In the middle of it, Sora then feels his heart beating and he hears Goofy and Donald. 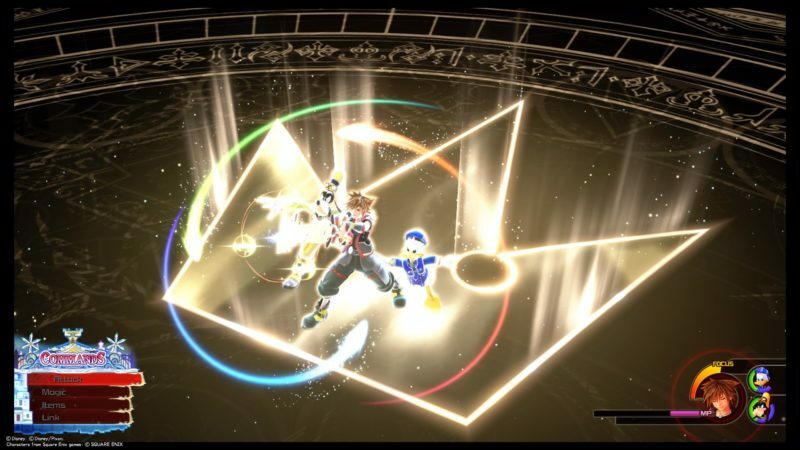 Press “Triangle” to activate your friendship bonds called Trinity. 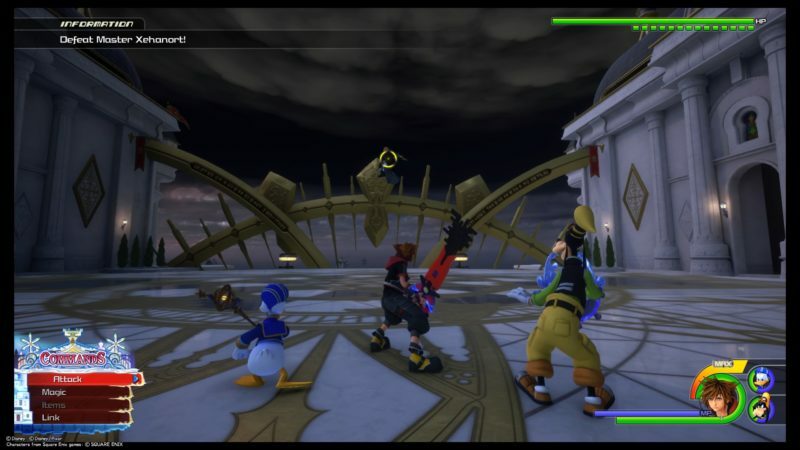 Sora then regains his strength and the three of them uses their bond to unleash a much stronger power. 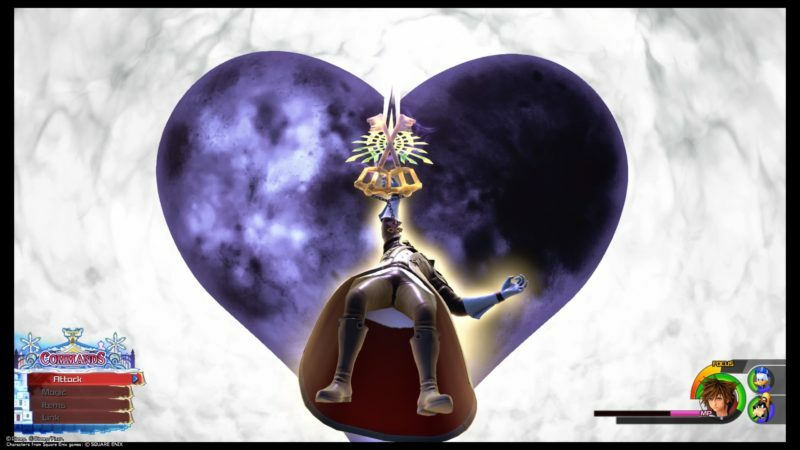 Xehanort then loses and this part onwards is just story. 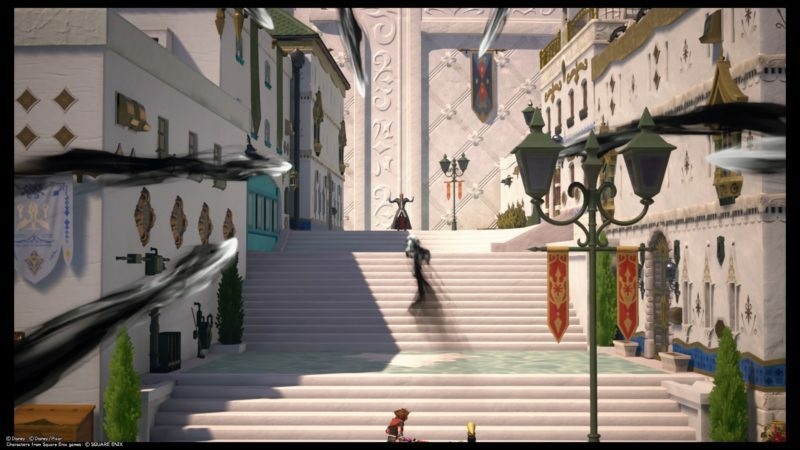 The whole gang (guardians of light) appears in Scala Ad Caelum. 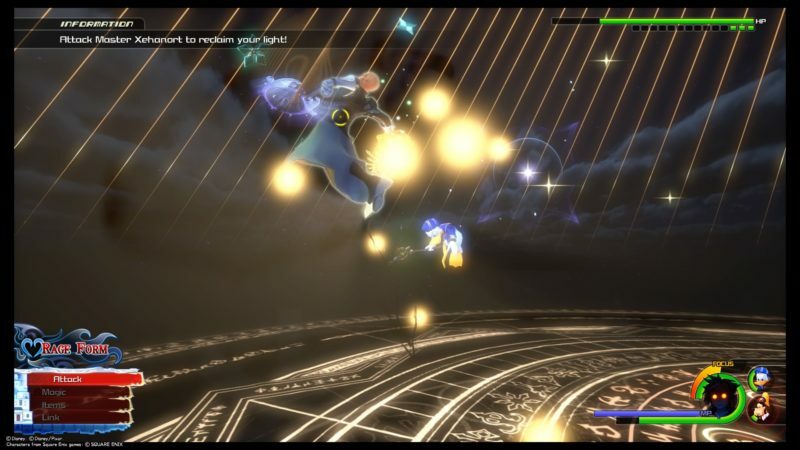 Master Eraqus then appears from Terra’s body. 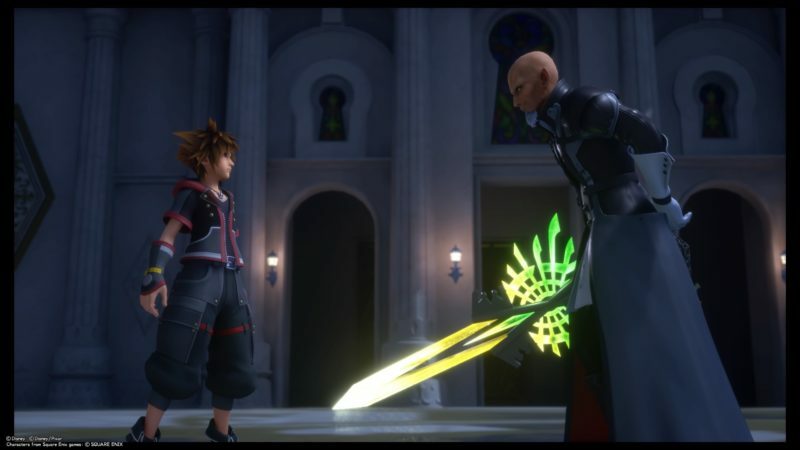 After Xehanort yields, he hands the X Blade over to Sora. 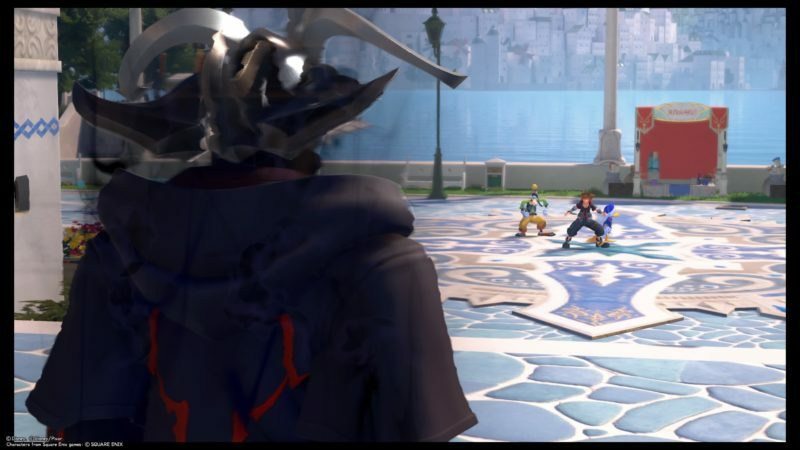 Xehanort and Eraqus disappears together as they were and are still friends. They were the two guys who played chess when they were much younger. The main story seems to end here. 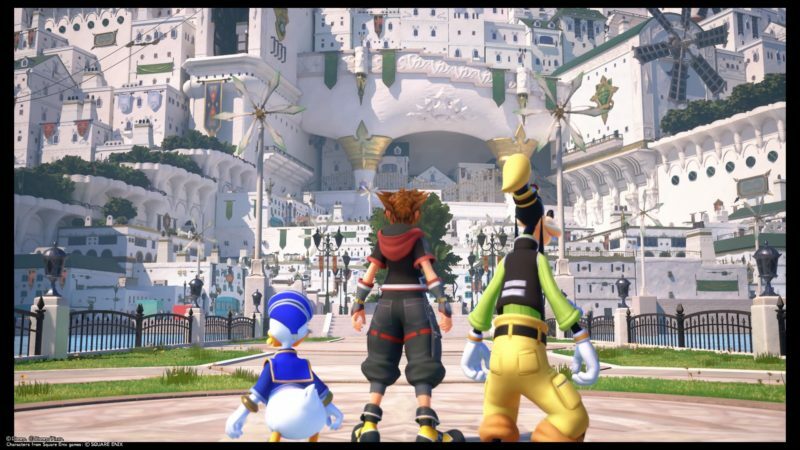 Do stick around for the after credits, as it indicates the story for Kingdom Hearts 4. 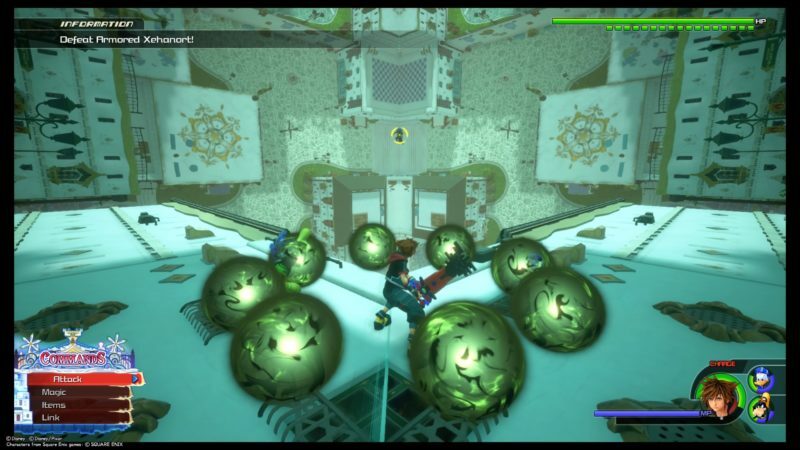 Hopefully this walkthrough and guide on the final boss of Kingdom Hearts 3 is useful for you guys.